With OutSystems Platform Amsterdam (9.0.1) we’re introducing a new feature: Starter Templates. It is also possible to create a custom template according to your company's brand and image guidelines. Since templates are regular application modules, they can have dependencies to other modules, to include charts, UI widgets, authentication, or others. The Description property of the module is filled in. Once you publish a module with these requirements in a server with 9.0.1, it will be listed as a template when creating a new application. 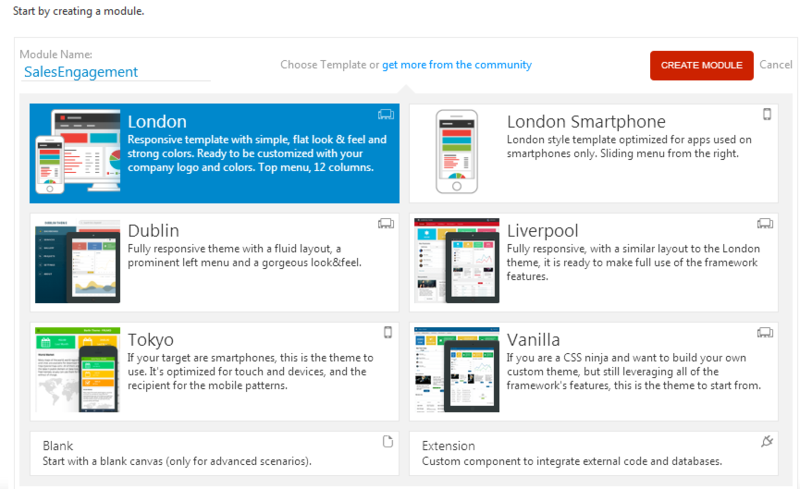 And if you have created a template, a great way to get more support for it is to share it with the community. In the OutSystems Forge you can find and share these starter templates, so we can all help each other creating great looking apps for our users.